My Weekly Wrap-Up (4 Feb)! This week started off okay but has been a bit rubbish latterly. It’s affected my reading and so far I haven’t read a single thing in February – not even a chapter of a book let alone an entire book. I did finish a couple of books before January ended so have read those this week but it’s not been a good week. I’m hoping my concentration returns very soon so that I can get back to my reading. My MacBook has had another wobble, which has made blogging quite difficult. I’m so glad that I do prepare some posts in advance so that I can edit them on my phone but it makes it hard to keep up with reading blogs and commenting. We think the issue with my MacBook is something to do with a recent software update so it’s trial and error at the moment trying to find a workaround until a patch is released. This book was a surprise birthday present from my husband and I adored it. It grabbed me from the first page and I didn’t put this book down from that moment on until I finished it. It’s such an interesting insight into astronaut training at NASA and I think it may well be a book that I re-read at some point. This took me a while to read because my copy was very tightly bound, making it hard for me to hold, but it was actually nice in a way to be forced to read slowly and to savour it because it’s a brilliant novel. I love Ali Smith’s writing and I think this might be my new favourite by her! I’ve been intending to start re-reading this series for a little while now but learning of the death of Sue Grafton in December really made me think I needed to make an effort to pick the books up again. I do love Kinsey Millhone, she’s a great character and I’m really enjoying being back in her world. I read the first couple of chapters of this book before I hit my slump and was enjoying it so I’m looking forward to getting back into it. This book is really good and I’m so intrigued about where it’s going to go so I’m very keen to pick this back up. I don’t want my mood to affect my reading enjoyment though so I’ve been waiting until my head was in the right place again. I’ve not read anymore of this since last week but I hope to get back to this one very soon as non-fiction is often the thing that gets me back reading after a slump. January has been a strange old month. I always struggle with January as it comes filled with a lot of sad memories for me. It was my birthday though, which I find tough but my husband made it really lovely for me. He cooked a lush meal in the evening and we shared a bottle of wine while I opened the pile of presents that he gave me. I got some fab new books so will be doing a book haul very soon! I read a lot of fabulous books in January so my reading year is off to a great start! I can’t pick a favourite from the books that I read, they were all very enjoyable reads. I didn’t manage to review as many books in January as I’d hoped to as I had a wobbly MacBook but I did get a few blog posts up and now my MacBook appears to be fixed I’m hoping to catch up on my reviews very soon. I hadn’t read this in many years and couldn’t remember whodunnit so it was great to read this again with fresh eyes in a new edition. I really enjoyed this mystery and it got my reading year of to a brilliant start! This was a really good crime thriller novel. It was ideal to read around the festive period but it could be read at another time of year if you’re keen to get to it. This was an ARC so I will be reviewing it soon. I found it really made me think about the nature of forgiveness and gave me a lot to ponder on. I’d had this ARC on my TBR for a while but when I finally read it I enjoyed it. It was an interesting novel about family dynamics and how and why people disappear. I read Blue Nights last year and found it to be a really honest memoir about the loss of her daughter so I was keen to pick this travel memoir up. I find that I get utterly engrossed in her writing and I adore it. I got completely lost in this novel, it was such a prescient book and one that I’m still thinking about. I have already reviewed this one so you can read my thoughts here. I read this novel in just two sittings (and the only reason that it wasn’t one sitting was because it was late at night and I needed sleep), it had me hooked right to the very end! This was an audiobook and once I got into it I really enjoyed it. It’s definitely a must read for fans of Orange is the New Black. I’ve had this book on my TBR for a long time and was hesitant to pick this up as I’d seen mixed reviews. I’m kicking myself for leaving it so long though as I really did enjoy this quirky and interesting novel. This book was so good! It grabbed me from the start and had me engrossed into it right to the very end. I got this book for Christmas and was so pleased as I’d been keen to read it. I read it in one sitting and it was such an interesting book – both funny and heartbreaking at the same time. It was certainly eye-opening! I’ve kept hearing about this book and when it won the Costa biography award I had to pick it up. I got the audiobook and found it really engrossing listening to this true story. This book was just incredible. I read it on a weekend when I badly needed solace and this book gave me that and so much more as well. I’m still struggling to finish my review because I loved it so much. This is definitely a new favourite and I already want to re-read it! I listened to this book on audio and really enjoyed it. I’ve already reviewed this book so you can find out more of my thoughts here. I bought this book on release day and read it in one go. It’s a heartbreaking read but it’s such an honest and open memoir. This is another book that I’ve loved this year. It was so refreshing to read a book that is told in two timelines going in different directions and I very much enjoyed it. I hope to get my review written and posted soon. I struggled to get into this the first time I picked it up but I gave it another chance at the weekend and I’m so glad I did because I loved it. This was a book that I got for my birthday at the weekend and after looking through all of my birthday books this was the one that called me to me the most. I read it in two sittings and I loved every minute of reading this book. This book took me a little while to read as I was struggling to physically hold the hardback but the novel itself was brilliant. This is another book that I feel sure will be in my favourites list at the end of this year! I made the decision to work on my TBR more seriously this year; to try and read more of the books I already own rather than accumulating a lot more. I started the year with 2756 (this is books that I own)! Over the month it’s held steady-ish as I’ve been good at resisting buying too many books and I’ve also been better at DNFing books that I’m not enjoying. I had a little clear out too and got rid of a few books. Then at the end of the month it was my birthday and I got some books and also some book vouchers so my TBR has gone up again. I’m really pleased with myself overall that my current TBR is now 2752, which is four books less than it was on the first day of the year! WWW Wednesdays (31 Jan)! What are you reading this week? I have an ARC of this which I got after seeing the author interviewed on TV around the time the book was released so I’m happy to finally be reading this one. It’s an easy read and I’m really enjoying it so far. I picked this book up yesterday and am hooked! I didn’t know much about this book going into it and have no idea where it’s going to go. It’s got me guessing though and I’m keen to read more! I’m still dipping in and out of this book and finding lots to motivate me. This was a birthday present from my husband and I started reading it the minute I finished opening my presents (a birthday book haul post will be up soon!). It was such a brilliant read, I loved every minute of reading it. I’ve been reading this for a while as I was struggling with physically holding the book but yesterday I managed to read the second half of the book in one go and I adored it. This is a brilliant book and I’m already looking forward to the next in the quartet! I couldn’t get into this the first time I started it but wanted to give it another go as I do love Marian Keyes writing. I picked it up at the weekend and ended up reading it in two sittings and I very much enjoyed it. I’ll hopefully get my review of this posted soon. This book was so good! I love the way it was told with the two main characters timelines moving in opposite directions, and it kept me on my toes all the way through. I’m still trying to write my review but hopefully I’ll get it finished soon, I recommend this though. I bought this book last Thursday and read it the same day. It’s a very open and honest and heartbreaking memoir. I read and reviewed this one last week so you can read my thoughts here if you’d like to know more. I enjoyed this book. I put this in my planned reading a couple of weeks ago and didn’t manage to start it so I’m going to aim to get to it in the coming week. I really want to read this book as I’ve heard so many great things so it’s on my next-to-read pile and I definitely want to get to it this week. I downloaded an ARC of this from NetGalley recently and have been keen to read it as soon as possible. It’s due out in February (I think!) so now seems a good time to pick it up! My Weekly Wrap-Up (28 Jan)! This week has been a mixed week really. It was the anniversary of my mum’s death earlier in the week, which hit me harder this year than in previous years. It’s strange how grief can still catch you offguard even after the passing of time. In happier news my husband took me out for coffee and cake mid-week – it was the first time I’ve left the house since before Christmas (apart from a couple of hospital appointments) so it was really lovely. It’s my birthday this weekend. I won’t be opening my presents until later on today but there are a few book-shaped parcels so I’m thinking I might have another book haul soon! I finished this book yesterday and it was so good! I read an ARC so I hope to get my review written and posted very soon but in the meantime I definitely recommend this book! I bought this last week and read it the same day. It’s a very moving and honest memoir; a book that will stay with me. I listened to the audio book of this and really enjoyed it. I got completely swept up in Marianne’s story. I reviewed this book yesterday so you can read more of my thoughts here if you’d like to. I read this book last weekend and I still don’t have the words. It was so stunningly beautiful and I already want to read it again. This is my new favourite book and I highly, highly recommend it! I picked this up yesterday afternoon and am really enjoying it. I wasn’t sure about the premise at first but Marian Keyes’ writing is so lovely that I got completely hooked and am now loving it! I’ve read a couple more chapters of this book this week and am now really in the mood to find some de-cluttering to do. I don’t agree with all of Marie Kondo’s ideas but I still enjoy her books. I was finally able to pick this up again this week and managed to read another chunk of it. I had hoped to finish it yesterday but alas my hands let me down and I couldn’t read a print book. Hopefully I’ll get to read to the end very soon because it really is a brilliant read. 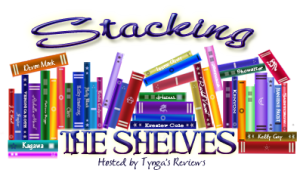 Well, if you saw my Stacking the Shelves post yesterday you will know that I’ve added seven books to my TBR this week. I was good though and have already read one of my new books so only six are being added to the TBR. I’m feeling really pleased with myself though because I also got rid of 24 books over the past week, which means my TBR has actually decreased by seventeen to 2737! WWW Wednesdays (24 Jan)! What are you reading this week? I picked this up the other day and I’m really enjoying it. I love how it’s told in a non-linear fashion so that a picture of what is going on is gradually being built up. It’s a book that I keep thinking about when I’m not reading it, which is always the sign of a good read. This is my audio book for this week and I’m enjoying it. I wasn’t sure what to expect from this book when I accepted it for review but it’s got me wanting to listen to more whenever I can. I’ll be reviewing this on Saturday so look out for my thoughts then if you want to know more. I’m still reading a chapter of this here and there and enjoying it. I don’t agree with all Marie Kondo’s ideas but all books on de-cluttering get me in the right mindset to have a sort out, which I love. I managed to read a bit more of this book this week and am still finding it such an incredible novel. I just wish the hardcover wasn’t as tightly bound as it is because it means I just can’t hold it to read for more than a few minutes at a time. I read this over the weekend and I just completely and utterly adored it. It’s a stunning book and I already want to pick it up and read it again! I’m in the middle of writing my review so I hope to get that posted soon. This book was eye-opening! I found it so readable, and I read it in just two sittings, but it was heartbreaking at times. It’s a real insight into the NHS and I highly recommend it to everyone. I listened to this on audio book and got completely engrossed in it. It’s such an honest and moving memoir, one that feels like it will stay with me for a long time to come. I really loved this book, it was so good. I’m struggling to review it because I enjoyed it so much but I definitely recommend it. I won a copy of this book a while ago and have been so keen to read it, especially after seeing the rave reviews it’s getting, so I’m going to try and pick it up this week. This is a review book that I’ve had for a little while but have been keen to read it. I did start it once before but it was the wrong time so I put it to one side and now I feel like I’m just in the right mood to read a Marian Keyes so I’m putting this on my TBR for the coming week. This is another review book that I’ve had for a little while now and it was calling to me when I was looking for my next read so I’m going to try and start this over the next week or so. My Weekly Wrap-Up (21 Jan)! This coming week is a tough one for me… it’s the anniversary of my mum’s death and also my birthday. I’ve struggled with this week ever since my mum died, as the two dates became so linked together in the year she died that I’ve never quite been able to separate them ever since. I always feel melancholy until my birthday is over and then the mood lifts again. It’s hard to distract myself when feeling like this but I always do my best to escape into books. In better news, I had a really helpful first appointment at the hospital with a new consultant. It was refreshing to be listened to and taken seriously, now it’s just the long wait for the results. Annoyingly, a couple of days ago I opened my MacBook to write some reviews and it was not working at all. My husband has got it working again now but neither of us trust it to keep working as it’s still behaving oddly. Urgh! I can only blog on my MacBook as my dictation software doesn’t work with anything else so if I end up not being around so much in the near future it’s because it’s bit the dust. Hopefully it will keep working for the foreseeable though. This book was one of my Christmas presents and I’ve been so keen to read it. I picked it up the other day and it was brilliant, even better than I expected. There is a real mix of humour and heartbreak, and it felt like it really represented what it must be like to work as a junior doctor in the NHS. I highly recommend this book. I’ve had this book on my audio book TBR for a while and somehow hadn’t listened to it. I then saw a few reviews of it after it won the biography category in the Costa Book Awards so immediately started listening. This is such an open and honest memoir, it’s a book that I feel will stay with me. This is a review book that I’ve had for a little while now but I finally got to read it this week and I loved it. It had me hooked from start to finish and it feels like a book that will really stay with me. I’m struggling to write my review because I loved the book so much. Hopefully I’ll manage to get my words together very soon though. This was my other audio book from this week and I enjoyed it. I wasn’t sure of it to start with but once I got into it I found it interesting. I recommend it for fans of Orange is the New Black. I started reading this book last night and I’ve already had a little cry over it. It’s just so believable and so beautifully written; it feels like this might become a new favourite book. I will be reviewing this once I’ve read it but I can already recommend it. This book is so good. I love the way it’s told in a non-linear way and so the story is slowly unfolding, it’s got me engrossed and it’s a book I really look forward to picked it up and reading a bit more. I haven’t read much more of this book this week as I just haven’t been in the mood for it. I hope to get back to it in the coming week though as I am enjoying it. I’m still very much enjoying this book but I’m struggling to read it because my copy is really tightly bound so it’s impossible for me to hold when I’m not doing so well. I will get properly back to this as soon as the strength in my hands improves again. I’ve read a couple more chapters of this book this week and I’m finding it such a heartbreaking read. I may put this to one side for the next week and pick it back up once I’m feeling on more of an even keel. Well, I’m really happy to report that three weeks into 2018 my TBR is holding steady at 2753 owned books, which is the same as it was last week! I have looked at books but have resisted buying any. I did get a couple of books from NetGalley but because of the books I’ve read this week my TBR has remained at the same number! I really want to reduce my TBR over this year but to not be increasing it is still something of an achievement for me! You can see my latest book haul here. WWW Wednesday (17 Jan)! What are you reading this week? This book is so good! If it wasn’t for the fact I’ve had a rough couple of days I think I would have finished this in one or two sittings. It feels like this is going to be a five star read! I’m enjoying this book and it’s definitely getting me in the right mindset to have another de-clutter once I feel better. This book is incredible and the only reason I haven’t finished yet is because I’m struggling to hold hardback books at the moment. I will get back to this asap though because it’s fabulous! I’ve had this on my TBR since it first came out but I’ve kept putting it off and I don’t know why. I ended up reading the whole novel in one sitting on Sunday, I just couldn’t put it down. It’s an interesting novel and is one that I think will stay with me. This was my audio book pick for the last week and I ended up really enjoying it. I wasn’t sure about it at first but it ended up being really interesting. It’s must-read for fans of Orange is the New Black! This book grabbed me on the first page and held my attention all the way to the end. It was one of those novels that I just didn’t want to put down until I knew what was going on. I’ll try to get my review written and posted on here soon. This book is such a powerful and prescient novel, I highly recommend it. If you want to know more of my thoughts please click on the title to read my full review. I’m so excited to read this book and didn’t manage to get to it over the last few days but I really hope to start it over the coming week. I just know that this is going to be a real treat, and I’m in need of that just now. I got approved for this book on NetGalley just the other day and I’m so keen to read it. It’s due out on 25th Jan so I’m bumping it straight to the top of my TBR! I was sent a surprise copy of this book around Christmas and it sounds like such a good read that I want to make sure I read it soon. It’ll be in my next book haul so this is a bit of a spoiler for that! My Weekly Wrap-Up (14 Jan)! This week I am finally starting to feel human again after a horrible flu virus that floored me for a couple of weeks. Now my headache has gone I’ve been able to catch up on some blogging and to get some reading done. It’s nice to be back blogging again and I hope to have regular reviews and other posts up from now on as it’s been a while since I was in a routine with it. I read this book in just two sittings because I didn’t want to put it down. It grabbed me from the opening chapter and kept me hooked all the way through. I’ll hopefully have my review up on my blog this week. This is such a powerful novel and one I definitely recommend. I’ve already reviewed this so if you’d like to know more of my thoughts on it please click on the title above. I read Blue Nights towards the end of last year so I was keen to read this new book by Joan Didion. It was a really interesting book and I’m glad I read it. I’ve had this on my review TBR for quite a while now but I finally picked it up in the week and I really enjoyed it. I’m hoping to get my review finished and posted this week so please look out for that. 2017 Reading Reflections, Bookish Plans for 2018 & The State of my TBR! Stacking the Shelves with my Christmas Book Haul! This book is so good! I started reading it yesterday morning and had to force myself to put it down otherwise nothing would have got done. I then waited until I could sit down for the evening so I could just read and read. This is such a brilliant novel. I want to devour it but I’m reading slowly so that I can take in everything. I loved Autumn but I think Winter is possibly even better! I started this listening book the other day and wasn’t initially sure that it was for me but I’ve actually been hooked listening to it over the last couple of days. It’s an interesting book and one that fans of Orange is the New Black will likely enjoy. I do love a book about de-cluttering and this is my latest pick. I’m enjoying this because it re-affirms what was in Kondo’s previous book and is motivating me all over again. I haven’t read much more of this book this week but it’s definitely properly back in my currently reading pile and I will be reading more of it in the coming days. So as I posted in my Reading Reflections post this week I’m going to try really hard to work on reducing my TBR this year. At the start of 2018 my owned books TBR totalled 2756 books. As of writing this post it’s 2753 so it’s going in the right direction so far! It’s hard to resist buying new books but I’m trying to keep in mind that I should wait to buy a book until I’m ready to read it. We’ll see how it goes! WWW Wednesday (10 Jan)! What are you reading this week? This book was one of my Christmas gifts from my husband and it’s such an incredible novel. I’m deliberately reading it slowly because I want to savour it, to make sure I don’t miss a thing. This book is so good! It’s one of those books that’s really hard to put down and I may even finish reading it before this post goes up. I’m on the blog tour for it on Friday so my review will be up then. I started reading this before Christmas but got side-tracked by Christmas reading. I’ve been wanting to get back to it though so I’ve picked it back up this week. It’s such a heartbreaking book but so important. I can never resist a de-cluttering book and this is my latest pick! I’m enjoying reading this and making paragraphs that I can refer back to. It’s inspiring me to want to have another clear out in my house once I recover from this horrible lingering virus that I have. This is my latest audio book and it’s okay. I was intrigued when I spotted it as it’s by the woman who inspired the character of Alex in Orange is the New Black. So far it’s not grabbing me but I want to give it a bit longer to see if it picks up. I picked this up after really enjoying reading Blue Nights towards the end of last year. South and West didn’t move me in the same way but it was a really fascinating read non-the-less. I recommend this one. This is a review book that has languished on my TBR for way longer than it should have but I’m pleased to say that when I read it over the last few days I enjoyed it. I’m hoping to get my review written and posted for next week so pleased look out for that. This is a graphic non-fiction novel and I’ve been really keen to read it so I was thrilled to spot it on Netgalley recently. It’s a short book but it really made me think. Once I’ve digested it a bit more I will be writing a review on here. This was such a good read for around Christmas time and I’m really glad I picked it up. It’s a fast-paced read and I really enjoyed it. I’ve had this book on my review pile for a while now and time has got away from me but I’m finally going to make this one of my next reads. I’m really looking forward to this, it’s one of my anticipated reads of this year. I’ve been saving this book to read this month because Joanna Cannon’s writing always feels like a solace. I’m planning to find an afternoon where I can just curl up and get lost in this book. It’s another of my highly anticipated reads for 2018. This is another review book and I’ve been really intrigued to read this one as I’ve always been fascinated by cults so this book caught my eye. At the start of 2016 I was undecided on what to set my Goodreads target at so I asked my husband to pick a number between 150 and 200 – he chose 180 (we were possibly watching darts on the telly at the time!). I was on target for the first part of the year and then over the summer I hit a horrible reading slump. I just couldn’t get into any books at all and barely read a thing for about three months. Eventually I got back into the swing of things but was fairly convinced I’d never make my reading goal. The thing that got me back into reading again was re-discovering my love for non-fiction and that joy led me to ending the year having read 211 books! I’m thrilled with what I’ve had the chance to read this year but it has made narrowing it down to a top ten near impossible. I’ve decided that as I read a real mix of fiction and non-fiction that I’d do a top ten of each – I don’t really consider it cheating seeing as 20 books in total is still under 10% of what I read this year. Before I do my top ten I do want to do a couple of honourable mentions. The first is to Katey Lovell for the wonderful The Boy in… series. I’ve spent a fair bit of time feeling rotten as my pain levels left me unable to concentrate and Katey Lovell’s series of short stories have got me through some really horrible days. They take 5 or ten mins to read and have honestly always left me feeling that little bit happier than I was before. These stories hold a special place in my heart and I love knowing I can always re-read one to cheer myself up. Also, this is the year that I decided to try giving graphic novels a go. I’ve always felt a bit odd about them as, having never looked at one before, I assumed they were just like comics (and I never liked comics even when I was a child). However, I picked up Raymond Brigg’s Ethel and Ernest during my hideous reading slump and it was the perfect read in that moment. I couldn’t believe how much detail could be packed into a book with very few words and it really opened my eyes to this genre. I also bought my husband The Gigantic Beard that was Evil as a sort of joke and when I read it I couldn’t believe what a brilliant social commentary it was. So now for my top ten fiction books of 2016! These books are in no particular order but I have picked two books that are my joint favourite books of the year! I adore Maggie O’Farrell’s writing – I read her first novel After You’d Gone on the day it was released and it’s still one of my all-time favourite novels. I greatly look forward to a new novel by her and was thrilled to receive a proof of this one ahead of publication. This Must Be the Place is a brilliant novel, one that will stay with me for a long time to come. This is the first Sarah Moss book I’ve read and it absolutely won’t be the last. I picked this up when I was in a major reading slump in the summer and somehow this grabbed my attention from the very first page and held me right until the end. I read this during my blogging break so I sadly haven’t reviewed it but I can assure you that it’s a stunning read and highly recommend you pick it up if you haven’t already. This book is stunning and simply had to be part of my top ten of 2016, I knew it would make it as I was reading it. It’s a beautiful read and I recommend it to everyone. This is a fascinating novel about Lucia Joyce, the daughter of James Joyce. It’s a book that will hook you in and will hold you in its spell right to the end. It made me want to learn more about Lucia Joyce. This is one of the more recent reads in my Top Ten but it absolutely had to be included. Ali Smith is an incredible writer, I’ve loved everything that I’ve read of hers. Autumn is a book that got to me in so many ways on so many different levels and I’m sure it will stay with me for a very long time to come. This book just captured me from the very start – I loved the two main characters and the bond they formed over such a short space of time. I think the thing that moved me most in this book was the idea of how life can be lost in an instant but the legacy, the memory left behind can still have such great impact on those that remain. This is a book I will definitely re-read in the future. I loved Carys Bray’s first novel and so was very excited to be sent a proof of this one ahead of release. I read this over a couple of days, finding it very hard to put down. The idea of a young girl trying to piece together the memory of her mother in a tangible way is heart-breaking, and I felt so much for her. The reader knows more than the daughter, which makes it even more poignant to read her journey to put together what she knows of her mum. It’s a beautiful story that is ultimately heart-warming and one I still find myself thinking about months after I finished reading the novel. I only read this novel recently but it had such an impact on me that I couldn’t not include it in my Top Ten of the year. A novel that explores assisted suicide, and yet is never mawkish and at times has a fair bit of black humour on the subject was always going to make for a fascinating read. I read Ghostbird way back in March and fell completely and utterly in love with Carol Lovekin’s writing. It’s such a beautiful, moving and, at times, devastating novel with magical elements weaved throughout. It captured me from the very first page and I devoured it. It’s one of those novels that seems to cast magic from it, it made me feel soothed and healed as I read. I’ve been recommending this book to everyone I know since I read it, and I’m going to say it again here – if you haven’t already read it then please go grab a copy now, I promise you won’t regret it! This is a lesson for me in not getting my Top Ten books of the year done too early in December! I had this post prepared and ready to go and then I read How To Be Brave and knew there was going to have to be a re-jig as this novel went right to the top of my list! It’s a beautifully moving debut novel, that weaves together the story of a young girl and her mum coming to terms with serious illness alongside her grandfather’s battle for survival on a lifeboat in the middle of the ocean. It’s a novel that had such an impact on me and I keep finding myself thinking back to it. It’s another novel that gave me great solace when I really needed it and I can’t recommend it highly enough. So, that’s my Top Ten fiction books of 2016. What have your favourite reads of this year been? Have you had a good reading year? Look out for my Top Ten non-fiction books post coming up tomorrow! Fusing Keatsian mists and mellow fruitfulness with the vitality, the immediacy and the colour-hit of Pop Art – via a bit of very contemporary skulduggery and skull-diggery – Autumn is a witty excavation of the present by the past. The novel is a stripped-branches take on popular culture, and a meditation, in a world growing ever more bordered and exclusive, on what richness and worth are, what harvest means. This book is simply stunning! I think it may be my new favourite by Ali Smith and is a real contender to be my book of 2016. Ali Smith captures the way autumn feels – the drift away from the warm summer and the move towards winter. It’s written in a literal sense but also metaphorically to mimic what is happening politically at the moment. There is a real sense of the aftermath of Brexit in this novel, without it ever feeling like you’re being hit over the head with it all over again. There’s a subtly to it – the graffiti on a neighbour’s wall, the electric fence that appears near where the characters live. It’s beautifully written and leaves you feeling really quite meloncholy at times. The novel opens with a man washed ashore. He is naked and lost, and becomes aware of people he vaguely knows passing him by. He isn’t sure how old he is but feels as if his body is younger than he was before. It seems he’s in some kind of limbo. At the same time a young woman is waiting in the Post Office to renew her passport, but her turn never seems to come. She is also in limbo. There is a sense that neither of them is sure of who they are, or where they are going. Perhaps a reference to the sense of isolation people are feeling in the current climate, and also the sense of being other in a world that is feeling less inclusive than before. It certainly reflects the limbo we all feel right now as we wait to see what will happen next. We then learn of the two main characters and how they met. Daniel is around 80 years old and lives next door to the child Elisabeth. She wants to go round to his house and have him answer questions for her school project but her mother is adamant that she mustn’t. It feels like her mother is very distrustful of the man next door but it’s never stated why, it left me feeling like he was perhaps an other, an outsider – or maybe that Elisabeth and her mother are outsiders. There are other references to Elisabeth as a child feeling like people are looking at her in the street. The relationship that builds between Daniel and Elisabeth when they finally do meet is so lovely. He always speaks to her like she is his equal, and not a child, and they connect on so many levels. It was heartwarming to read how the relationship lasted and how Elisabeth is determined to keep the bond between them. This book becomes very meta at points and I loved that aspect. The way that Daniel describes a painting to Elisabeth, and then says it isn’t real but she really feels like she has seen it. Then later she sees it reproduced and knows it is real. This made me go search online for Pauline Boty so that I could see the paintings after having such a clear image in my mind. I felt how I was sure Elisabeth must have felt when she finally saw them, because they were like a daydream made real. I felt sure that I had seen them before, like I knew them. Yet I was also seeing them at a step removed – paintings through a computer screen, so even then I’ve not seen the reality of the work, just as Elisabeth hadn’t either. I wasn’t there, in the moment when the paintings existed in a studio – a real awakening to the idea of a set moment in time and how when something has passed, it has passed. We can seek it out, we can reflect but once the leaves have fallen from the trees, they are gone. Autumn jumps back and forth in time throughout, filling in small details and reminding us of what came before and what came after. This is beautifully illustrated in a moment where Daniel throws his watch in the air to demonstrate to Elisabeth how easily and quickly time flies. Ali Smith’s writing is profound and stunningly beautiful throughout. I’m still thinking about this book weeks after finishing it, and I’m sure it will be with me for a long time to come. I can’t wait to read the next instalment in this series now! I’ve been recommending this novel to everyone and have already bought a few copies to give as Christmas gifts. I received a copy of this book from Penguin Books via NetGalley in exchange for an honest review.